Special guest Rene Ritchie returns to the show. Topics includes Jony Ive’s promotion to Chief Design Officer and the implications for Apple; the differences in Apple’s internal design culture now that industrial and user interface design are under one roof; Google’s announcements at their I/O developer conference last week in San Francisco, including Google Photos; “machine learning”; Apple replacing the much-maligned discoveryd with good old mDNSResponder in the latest Yosemite developer beta; our thoughts on the space black Apple Watch with link bracelet; and more. MailRoute: Hosted spam and virus protection for email. Use this link for a 10 percent discount for the life of your account. Harry’s: An exceptional shave at a fraction of the price. Use code “TALKSHOW” for $5 off your first purchase. Warby Parker: Boutique-quality, classically crafted eyewear at a revolutionary price point. Fracture: Your pictures, printed directly on glass. Photo, frame, and mount, all in one. Save with code “DARINGFIREBALL”. Stories on Greg Christie’s departure from Apple last year, from TechCrunch and 9to5Mac. “Skankphone” — the purposefully ugly prototype OS that was seen by most of the industrial design team for the original iPhone. Rene’s photographs of the actual shipping space black Apple Watch with link bracelet, which really does look black. 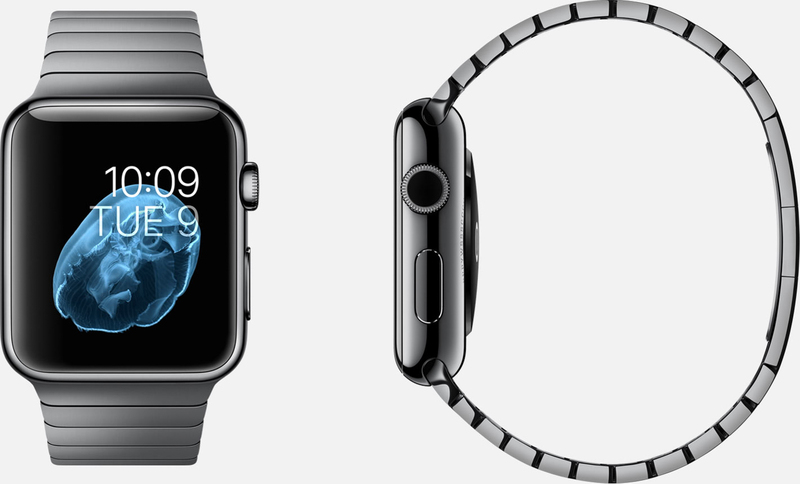 Apple’s promotional photos for the space black Apple Watch from back in September 2014, when it was more like a medium-dark gray. News from Google I/O last week: Google Photos, Marques Brownlee on the top new features in Android M, and everything else in one handy list. Mark Gurman’s roundup of iOS 9 and OS X 10.11 rumors leading up to WWDC next week.